Exit 71 in Willington was closed until 7 a.m.
A tractor trailer carrying bottled water overturned in Willington, causing the closure of Exit 71 on Interstate 84 early westbound Friday morning. 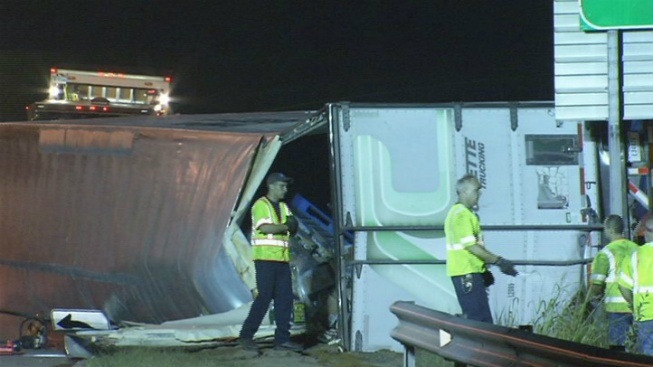 Officials said the Exit 71 exit ramp would be closed for hours as the Department of Transportation works to unload the trailer and upright the truck. It reopened around 7 a.m.